Are you ready? On or after March 15, 2012, the 2010 ADA Standards must be used for all new construction or alterations to facilities covered by the ADA. This session will be an opportunity to better familiarize you with the new standards and the changes from the 1991 standards. 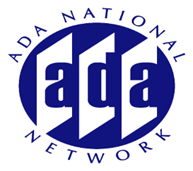 Accessibility specialists will focus on more frequently asked questions about the 2010 ADA Accessibility Standards and other areas where guidance is often requested.